On your arrival at the Veer Savarkar Airport, you will be received by the agent's representative and transferred to the hotel of stay in Port Blair. Once you reach the hotel, check in and relax. In the afternoon, enjoy a visit to the beautiful Corbyn’s Cove Beach. The beach has plenty of palm trees and sun loungers from where you can get a good view of the whole beach. Next, as per this Andaman honeymoon tour itinerary, you will visit the historic Cellular Jail. In the evening attend the Light & Sound Show at the Cellular Jail which brings back the memories of the freedom movement. Return to your hotel for a relaxing overnight stay. Treat your taste buds to a wholesome breakfast and then get ready for a ferry ride to Ross Island. Once you reach Ross Island, you can go for swimming or boating. You can also spend some good time with your soulmate in the serene environment of this mesmerizing island. 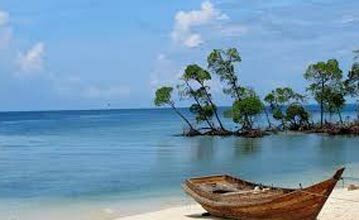 Your next visit on this honeymoon tour to Andaman will be to the North Bay Island. This island is home to an ample amount of striking coral reefs which are going to be a treat to your eyes. Have fun strolling around at the sandy beaches with your partner. By the end of the day, you will be transferred back to your hotel for a cozy overnight stay. Once done with your breakfast, check out of the hotel and proceed to Havelock Island on a private cruise. 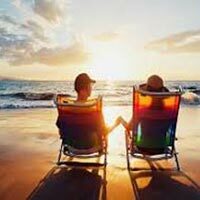 Enjoy the romantic setting with your loved one as you cruise smoothly to Beach No.7, a.k.a Radhanagar Beach. 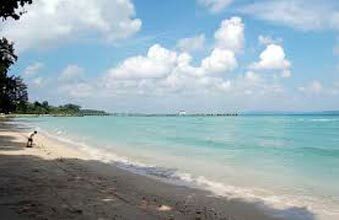 Considered as one of the most romantic beaches in Asia, The Radhnagar Beach, and its intact natural beauty is going to sweep the carpet off your feet. Make the most of this romantic beach holiday by indulging in some beach activities. As the sun begins to set, watch out for the mesmerizing scenes that appear over the horizon. At the end of the day, you will be transferred to your hotel in Havelock Island where a romantic candlelight dinner welcomes you. Post dinner, enjoy a cozy overnight stay. 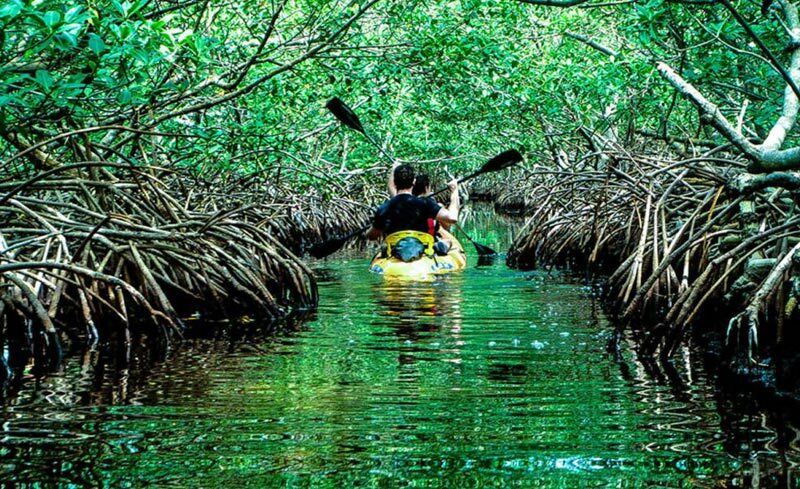 Grab some finger-licking good breakfast and then head out to have some fun and adventure as the tour itinerary now takes you to the Elephant Beach which is famous for a host of water sports. Enjoy snorkeling with your partner and be amazed by the underwater natural beauty. Explore the surroundings on your own and don't forget to click some great pictures of the sunset. 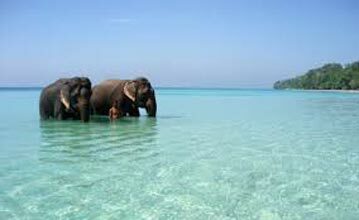 At this tour to Elephant Beach gets over, you will be transferred back to your hotel for a relaxing overnight stay. 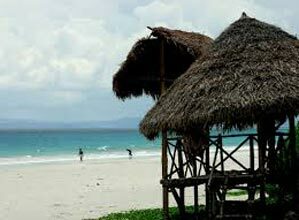 Have a delectable breakfast and then proceed to Kalapathar Beach on the fifth day of this romantic honeymoon to Andaman. The beach is surrounded by black rocks and palm trees which make it unique and unbelievably beautiful. 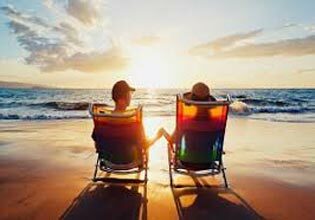 This secluded beach in Andaman is the perfect setting for couples who wish to cut themselves off from the outer world for a while and spend time with each other, exclusively. Later in the evening, return to your hotel for a cozy overnight stay. Post breakfast, check out from the hotel prepare to return to Port Blair via private cruise. Disembark at the Phoenix Bay Harbour, where you will be escorted by the agent’s representative to your hotel. Check-in and rest for a while. In the evening, head to Cottage Industries Emporium for some shopping. Then proceed to Marina Park and enjoy a breezy evening by the sea. Later, you will be taken back to the hotel for a soothing overnight stay. have a wholesome breakfast at the hotel and then check out as the honeymoon tour comes to a beautiful end. You will be transferred to Veer Savarkar Airport and board flight to your home.